Black Bear Sweatshirt This Black Bear Sweatshirt comes in your choice of two colors and up to a size XL. 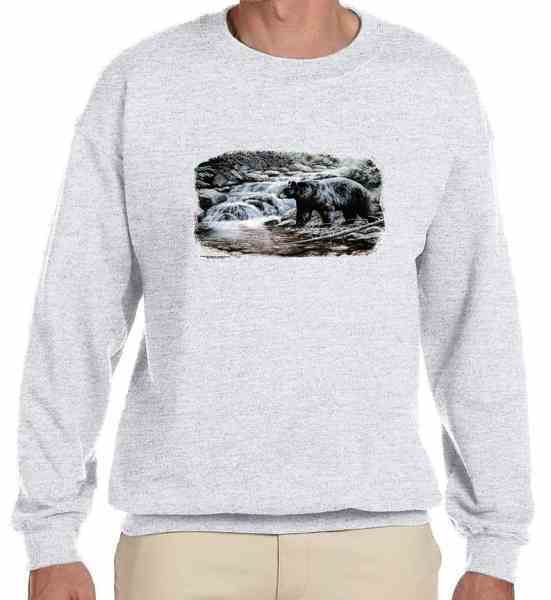 This Black BearSweatshirt makes a perfect gift for Black Bear lover and features a Black Bear crossing a shallow river. All of our bear Sweatshirts are first quality Sweatshirts, made of a 50/50 poly cotton. If you have questions regarding our Black Bear Sweatshirt or any of our other wildlife tees featuring bears, please email us with the product name and number.